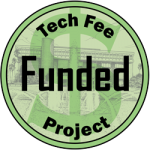 The UCF Libraries seeks $240,077 in funding to purchase a 3 year license for Digital Commons, a digital repository platform for UCF-produced digital scholarship. The UCF Libraries has been involved in building digital collections since 1999. These collections were developed through collaborations with partners internal to UCF and outside UCF in local, regional, national and international projects. Most of the projects were funded through grant money and each has a specific focus – historical, geographical, political, and genealogical and, therefore, have limitations in what material can be added to them. In recent years, UCF colleges and departments have approached the Digital Initiatives unit in the John C. Hitt Library to house their digital content. UCF TV needed a place to store 20 TB of video. The ChinaVine project, a collaboration between UCF’s College of Arts & Humanities and the University of Oregon, which records the customs and folk culture of that county, needed a home for their extensive collection of nearly 2 TB of text, images, and video. A professor in the College of Health and Public affairs needed space for video and text sessions for stroke research in speech dysplasia. None of the content was appropriate for existing collections but needed to be made accessible and preserved. The Library did not have the resources to do either. As discussions began on campus about new requirements for submitting data management plans with research grant proposals and the need for data storage and access solutions to support these plans, the Libraries recognized that consolidating the scholarly output of faculty and students would be best served by an institutional repository (IR). The IR described here should not be confused with the data repository required by institutions to satisfy the NSF’s and other funding agencies’ data management mandate. Data repositories would require large amounts of space for datasets that would be available for researchers to use and reuse and robust computer systems to analyze and manage them. That data would not necessarily be available to the public. That data would be the “work in progress” whose analysis would become the publication or report that would be available to the user from the IR. Both repositories are needed at UCF. Digital Commons will provide a place for faculty and students to put their intellectual output in a central virtual location where it will be accessible to researchers and students. Some examples of material usually found in institutional repositories include faculty research data, historical collections, audio, video, scholarly works, original publications, open access journals, online books, white papers, presentations, posters, conference proceedings, electronic theses and dissertations (which are currently housed as a local digital collection), student honors papers, and student research. UCF Libraries looks at a potential IR@UCF as an additional digital collection accessible by faculty, students, and researchers. It will store material in one central site in the cloud; showcase intellectual output; and make that output available to expand and enhance research, teaching, and learning. In his recent monthly update, UCF Provost Dale Whittaker was congratulating the interdisciplinary team of students who designed and built a “bionic” arm for a 6-year old boy. Provost Whittaker stated, “The students posted their blueprints online so anyone can download them and help children around the world. What an amazing way to use knowledge to lift the lives and livelihoods of so many others.” (Whittaker, Dale, Email message to UCF Staff, September 4, 2014.) Putting these blueprints in an IR would showcase the scholars and their scholarship and share the knowledge, as the Provost said, with the world. Digital Commons is arguably the most popular institutional repository platform in use today. It has an extensive customer base, including 8 Florida universities, has been around for many years, and is highly functional yet easy to use. A recent comparison of IR software published by UNESCO (copy attached) looked at Digital Commons, which is proprietary, and several open source products including DSpace, EPrints, Fedora, and Islandora. The five became finalists after data from the Registry of Open Access Repositories (ROAR), The Directory of Open Access Repositories (OpenDOAR), and Repository 66 were evaluated, and in-depth interviews with repository managers were conducted. They included those with the most active user communities, robust features and the largest number of installations. Digital Commons fared very well and, in fact, presented more functionality than its competition. Content hosted in Digital Commons is optimized for search engines with full-text indexing taking place in major sites such as Google, Google Scholar, Bing. In addition, Digital Commons supports OAI-PMH so the records can be made discoverable via OAI service providers both locally and internationally – from UCF Libraries’ OneSearch to WorldCat’s OAIster and the Networked Digital Library of Theses and Dissertations. For contributors who want more control over their works, Digital Commons supports both location and time based embargo restrictions. And while the cost of the software over 3 years may seem expensive, it includes SelectedWorks, which allows users to create their own personal pages connected to Digital Commons, is unlimited in storage and support, and resides and is maintained in the cloud. Compared to running a local server and storage needing to be expanded every year, and employing multiple IT staff to maintain it, a hosted solution would actually save UCF a significant amount of money. 1. State the number of faculty members that will directly benefit from the proposed project per academic year. All faculty and any other university-defined users will be eligible to submit to the institutional repository. Access will be open 24/7. An institutional repository is, by definition, for use by all faculty and any other user groups defined by the university (graduate students, undergraduate students, etc.). The benefit of having an institutional repository is not limited to faculty. While much of what is in an IR is faculty-authored, IRs also act as home to electronic theses and dissertations, student publications, and data generated by research including datasets, video and audio files. The location of digital scholarship in a central space (whether physical or virtual) takes scholarly work from office hard drives and flash drives and puts it where scholars can use it. Providing access to scholarship expands the corpus of knowledge available for students and faculty to use in their studies and research. In the burgeoning digital content environment this is an opportunity for UCF to pull together its scholarship digitally into one location and make it available to everyone. Digital Commons has a variety of powerful tools to increase exposure and measure IR usage. On-demand readership statistics and interactive download maps keep the institution informed. The visual impact of seeing usage metrics in real-time and from around the world delivers immediate results to the scholar. Monthly and on-demand reports will give a broader view of the IRs success. Through these customizable reports, student and faculty usage and downloads will be measured and evaluated. IR content is discoverable through Google Scholar and integrated with Google Analytics. If funding is received for a 3-year license, it is believed that a vibrant IR program can be developed in that time. The program will be administered through the existing UCF Libraries Digital Initiatives unit, working closely with UCF Libraries Information Services and Scholarly Communication unit to market the service and collection. During this time, allocating funds from other sources toward the IR will be examined. have applied a 5% discount if all 3 years are paid at once.